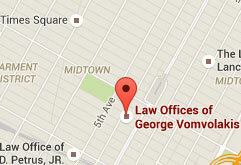 The Law Offices of George Vomvolakis is proud to announce the annual Campus Safety Scholarship. The idea behind the program is to help raise awareness of how we (as a nation) can increase the safety and well-being of college students across the United States. As a criminal defense attorney, I have seen every situation imaginable, and often find myself representing defendants accused of committing crimes on college campuses. If I had it my way, I would never have to represent anyone in this scenario, because the alleged crime wouldn’t have been allowed to happen in the first place. This is not to say that ANY blame should be placed on anyone other than the accused, but to simply say that there needs to be stricter security measures put in place at universities and colleges across the nation. 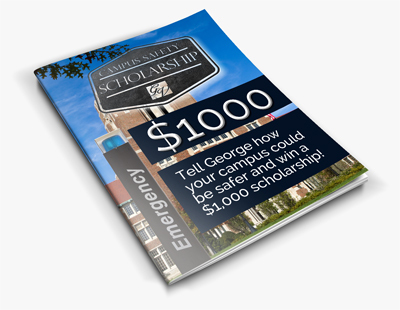 I decided to create this scholarship to encourage the conversation about campus safety. Higher education institutions should be about learning and personal growth, and no student attempting to better themselves should ever be in fear for their personal safety. I plan to take the recommendations of all students submitting an essay, and compile them into a resource that will be presented to Campus Safety Offices around the nation. I ask you to apply for my scholarship for two reasons: 1) to win $1,000 towards your education and more importantly 2) to help cultivate change in campus safety. I look forward to reading all of your essays, and thank you in advance for your hard work and advice! We are incredibly excited to read your submissions and award this scholarship! Regardless of whether you win or not, we believe all of your ideas will greatly contribute to Campus Safety as a whole.